I am going to finish the Lambs Navy Rum before I go to bed! Leastways I will try. I might have to leave a bit for February! Old year’s night I bought an oven thermometer, drank in the afternoon, came home to do a jigsaw and drink stuff. Bed by 22.00. I learned how much I can, and have to, rely on myself. I finished the hardest 2 years of work I have ever had to do. In the past I have had jobs; threats; Governmental chainsaws; emotional relationships of many sorts; but all of them were just useful experience for seeing my mother to her final rest; sorting the estate out; and getting the mortgage to become a landlord. Testing next year’s Bring Back St Blaises Festival walk. 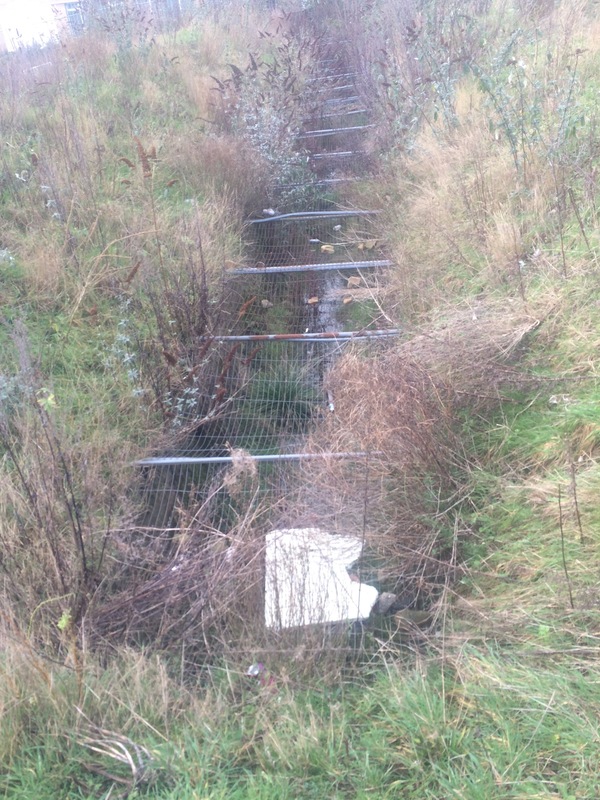 Bradford’s mill goit still runs, just. Testing next year’s Bring Back St Blaises Festival walk. 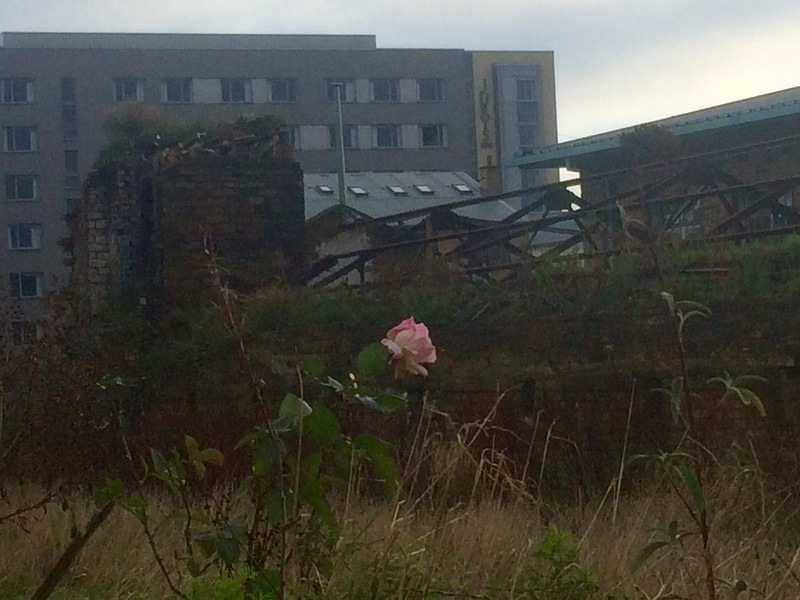 Rose growing behind the third to last mill to burn down off Thornton Road. Speakers gone, apple twigs from Baildon grafted. The speakers work, are wooden, and would be big enough to bury a bloodhound in. I have been trying to get rid of them for years. Today Les of the Sparrow came and took them away. The apple grafts were of twigs I cut yesterday. Two of them are the ‘cinnemon’ apples from the junction of Green Road and Cliffe Lane, that I have blogged about every year; the other two are big, semi cookers.